Playing around in the lab this week, I noticed something interesting. I’m not sure if it’s a bug, or by design, but it’s new with vSphere 5 so I wanted to share. 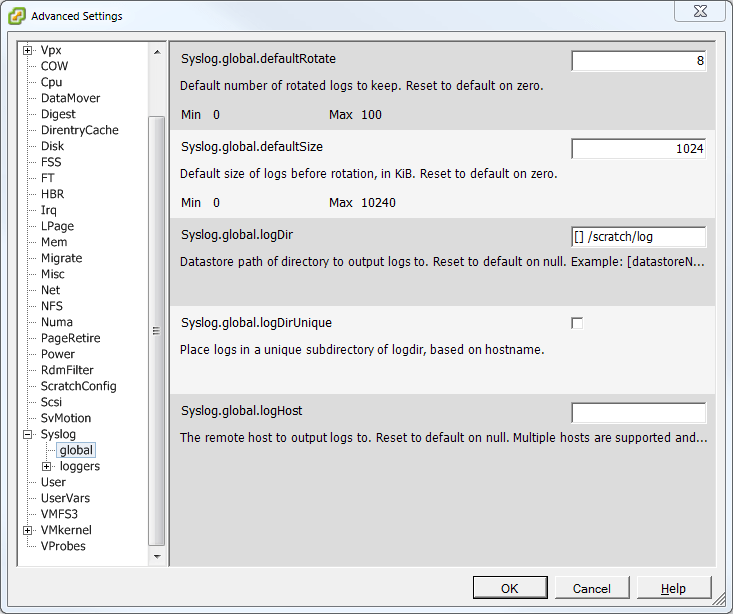 Note that the logDir is set to “ /scratch/log” putting the logs on the local disk. Interesting, right? Same install, just to different media, and it appears that vSphere knows that there’s no persistent disk and has decided to leave the logging unconfigured since it doesn’t know how much space is available for it. Now I’m totally guessing on that point, but it does make sense. Does anyone out there have a more “official” answer for the change in behavior? In the abstract, this seems like a welcome change. 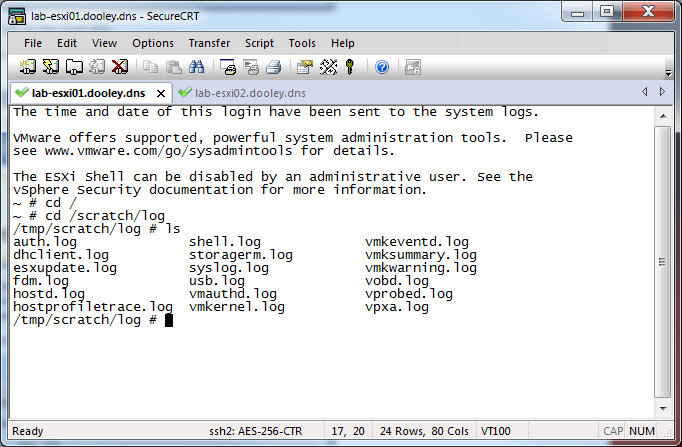 For hosts that are being installed diskless, vSphere appears to be acknowledging that fact and leaving the logging options unconfigured. 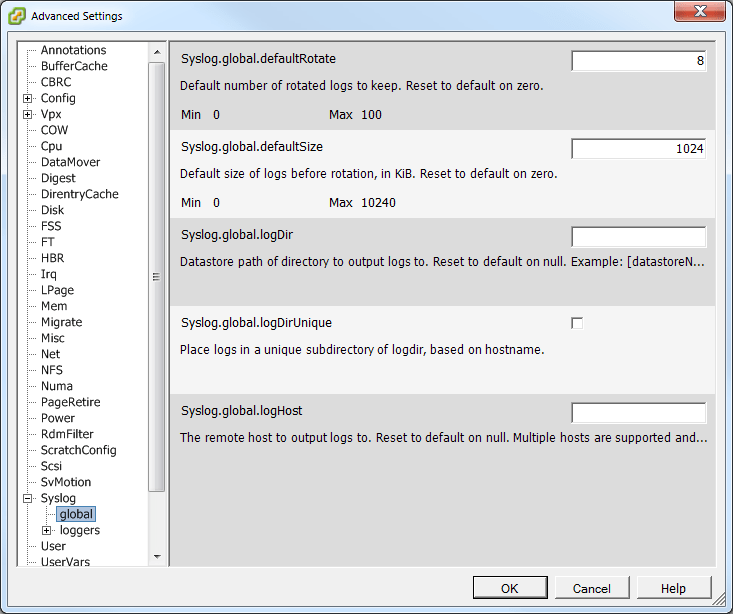 While this means that you have to manually add the logging path (whatever you want it to be) after the fact, it would seem to be intended to prevent a situation where the default logging settings would cause an issue. A small feature, sure, but one that could be very useful. If you have any thoughts on this “feature” or if you have a more official answer to why the install process is different based on the media being installed to, let me know in the comments!